Sorry that there hasn't been any 'proper' blog post from me because I'm always on-the-go for almost the whole month of February and yes, I enjoy update my blog from my mobile phone as I love to share what's happening and what I'm doing at that exact time, isn't it feel more intimate somehow? lol. Anyway, most of you have heard it but I'm gonna say it again - Vanity Trove is now available in Malaysia! Yes, THE Vanity Trove that made it big in Singapore, is now available to purchase in Malaysia. I'm so happy that I received the parcel on 14th of February, what a memorable day of connection between me and Vanity Trove Malaysia. 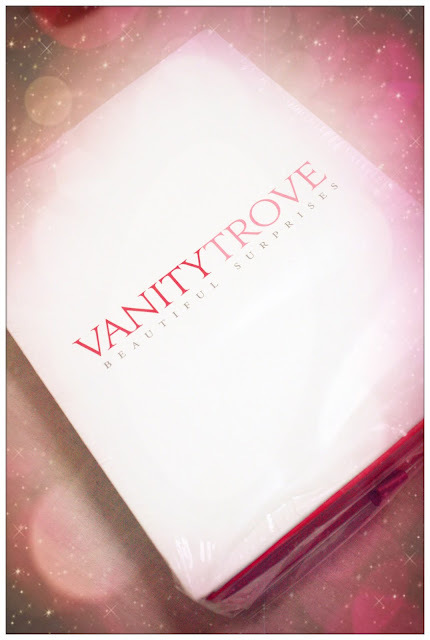 I've been searching for Beauty Box services after my subscription to a previous company ended due to the owner's health issue, am glad that Vanity Trove is here, available for me just right on time! 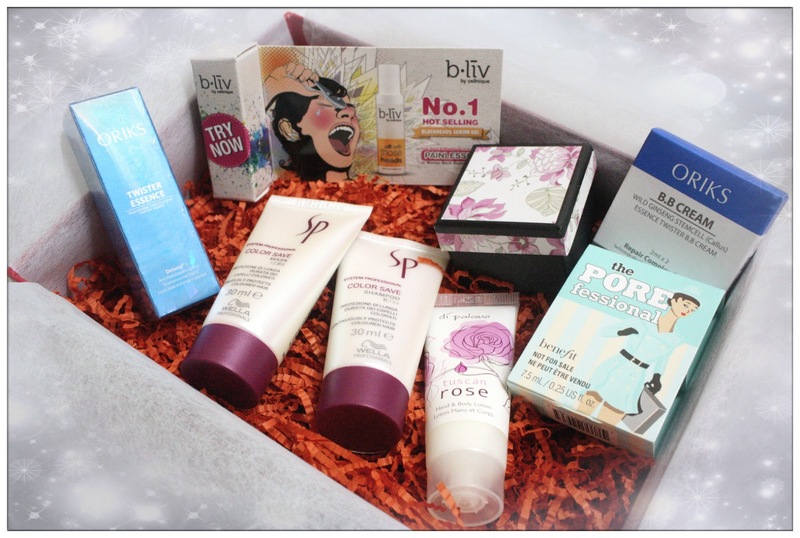 Girls like me just have to rely on Beauty Box services to discover good beauty and cosmetic items easily so that we don't get all dizzy, not knowing what to choose at the counter in department stores. Beautifully wrapped and a card written by Valerie, thank you! Just love all these goodies! Since I'm always on-the-go, what Vanity Trove Malaysia has selected to include in their beauty box has actually save me a lot of luggage spaces, no more full bottles of skincare items from now on. 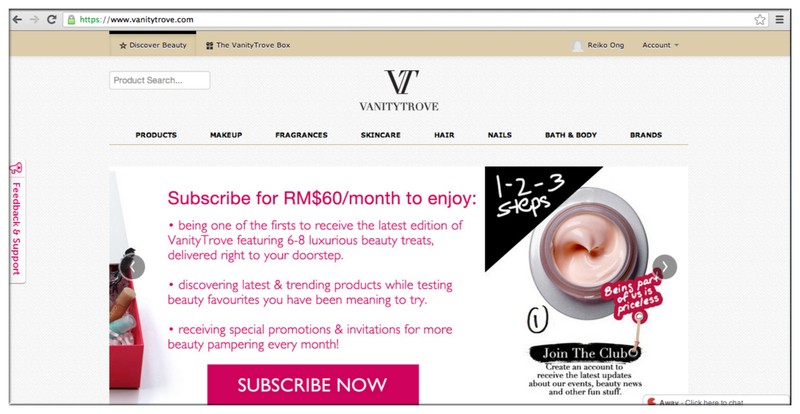 For just RM60 per month, you can own the best that Vanity Trove Malaysia has specially selected for you every month. 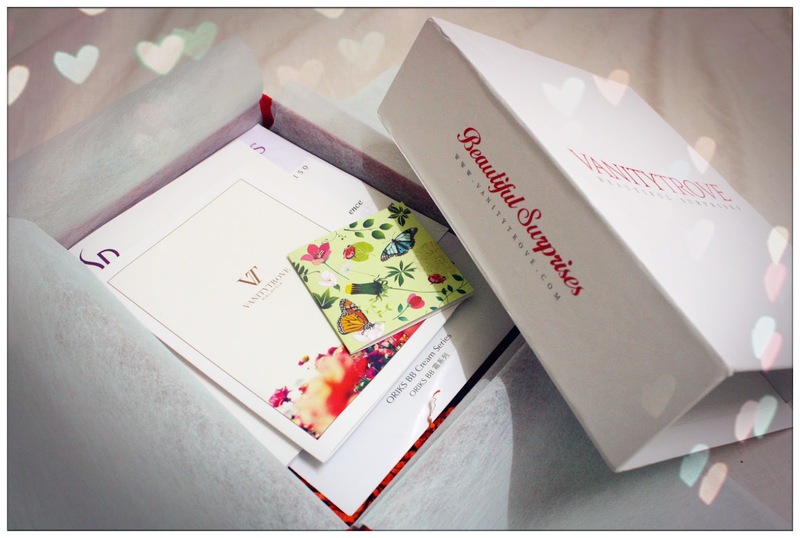 I just love the surprises of opening a beauty box filled with all the luxurious beauty treats specially selected by Vanity Trove Malaysia, come join me and receive a gift for yourself specially deliver to your doorstep, you deserved to be pampered this way.